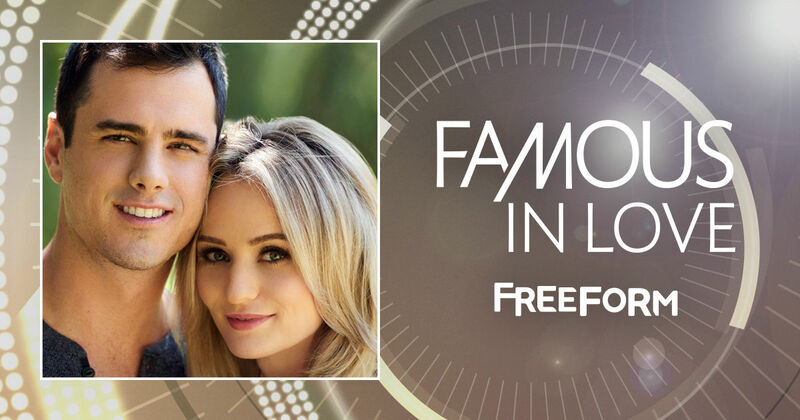 The Stars of Ben & Lauren: Happily Ever After Will Appear On Famous In Love! The happy couple will be playing themselves in an episode of the show this April! Ben & Lauren: Happily Ever After is a brand new show coming to Freeform this October! It follows star of The Bachelor, Ben Higgins, and his fiancée Lauren Bushnell as they navigate real life as a couple! Like all relationships, they will face their share of highs and lows. And making a guest appearance on the new series Famous In Love definitely counts as a high! Here's a message from Ben and Lauren on the set of Famous In Love! Rebecca Serle even tweeted about how fun it was having Ben and Lauren on set! Are you excited about Ben & Lauren: Happily Ever After? Don't forget to tune in on Tuesday, October 11 at 8pm/7c only on Freeform! And don't worry Famous In Love fans, April is just around the corner!